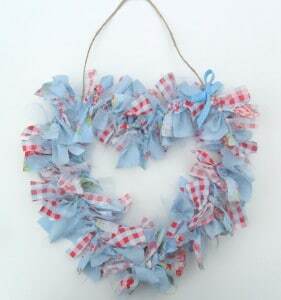 Today we have a very lovely “How to make a Rag Heart Wreath” guest post from Mary from Mary Poppins Home Sweet Home. As some of you may know there a some Mummy And Daddy (the MADs) Blogging awards going on the UK. I was very excited and chuffed to see that I have been nominated in three categorie: Craft Blog of the Year, Pre-School Blog of the Year (thanks to our weekly Kids Get Crafty) and overall blogger of the year… How truly lovely is that? I decided that I should really check out “the competition” and “found” Mary. I have long been connected with Mary on twitter and was VERY ashamed to admit that I wasn’t familiar with her blog. Especially since it is indeed gorgeously lovely! 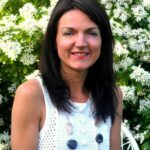 Now, you simply MUST visit Mary, as she is one of the 5 craft blogging finalist… so her blog must be good (*cough* says she whose blog is also in the craft finals *cough*). But *coughing* aside, to go and visit and check out all her loveliness and you won’t be disappointed! Not competition at all, but colleague! 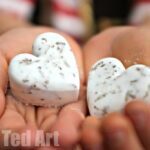 A perfect shabby chic inspired item that would make a special and thoughtful gift and the perfect make to get those children’s little fingers involved too. 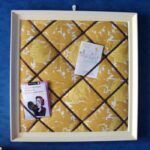 A wonderful project in which to use up all those scraps of lovely fabric you have lying around waiting to be used. You can choose any design you like, a mixture of many fabrics, maybe even just one or two alternate fabrics. For a pretty effect I like to alternate every so often with pretty ribbons and tulle whilst knotting on the fabric strips. It gives the rag heart a lovely whimsical effect. You can also have the option of using pinking shears on the edges of your chosen fabric to give it a zig zag detail. 1. Cut a piece of garden wire to measure approximately 80 cms. 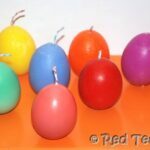 For this project I used a 2.5 mm pliable plastic coated garden wire. Galvanised wire is stronger, though a little harder to work with and you would certainly need a good strong pair of pliers and cutters. If you are not confident about doing your heart shape free hand you could always print out a heart shaped template and use that as a guide to bend your wire into a heart shape. It doesn’t matter what size heart you make. 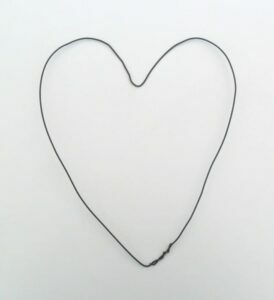 Twist the ends of your wire heart over and then use pliers to neaten. The heart in this project measures approximately 30cms wide and 30cms tall. 2. 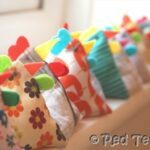 Cut your strips from your chosen fabric. Decide whether you want to use pinking shears to achieve zig zag edges or straight edges with scissors. Start to cut your strips from the fabric following a measurement of approximately 4.5 inches in length and 1 inch wide for each strip. You needn’t measure every single one, you can use your guess work a little as you begin to recognise the size they should be, also it is more characteristic for the heart if each of the strips aren’t too exact in length as one another. If you want a more substantial looking heart then cut your strips a little longer. I used approximately 100-140 different strips for this project. 3. 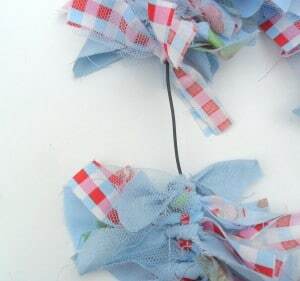 Tie each fabric strip onto the heart. Work your way around in the direction that suits you. 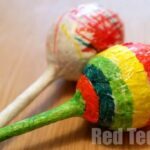 It is up to you whether you tie each strip using one knot or two knots around the heart, obviously if you are going to tie twice then make the strips slightly longer. Aim to get the fabric upright, as in the right side of fabric facing the front of the heart which shall be on display. You could always use a fabric that is double sided. As you make your way around the heart, twist and move along the tied strips so you can’t see any gaps. If there are any, cut some more strips and squeeze them on. 4. 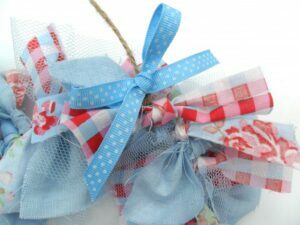 Tie a bow at the top for decoration, and add ribbon or twine to hang, and then stand back and admire your pretty Shabby Chic heart! * When creating your strips it may be helpful to cut one long piece of fabric and then cut many strips in one go. Have all your required strips cut before you start to knot them on the wire heart. 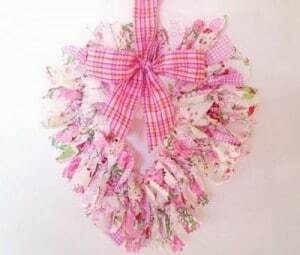 Don’t you think these rag hearts are simply adorable??? 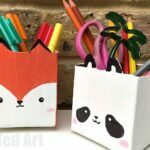 I am so going to make some for Pip Squeaks room! May even see if I can recycle some of her old onesies.. Thank you Mary. It is GORGEOUS, isn’t it?! It really looks so simple to make and looks so BEAUTIFUL!!!! Lovely. Im off to brave the shed for some wire to give it a go. Oh that is lovely! I have some perfect ‘scraps’…I can see me making a lot of these! Simple yet stunning result! Beautiful! If only i had the time to make one! I adore them! And I LOVE the idea of making intials!!! You CLEVER LADY! I love it’s simple elegance. 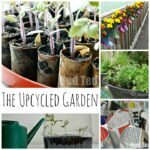 It’s very cute and a great idea! ooooh these would look amazing over my girls beds!!!! love it! I LOVE your blog. My daughter is only two and a half and doesn’t yet want to participate yet in art much but I am trying hard 🙂 she simply doesn’t want to get her hands dirty!!!! nice…keep up the good work!!!! Congrats on the awards nominations! How exciting :). 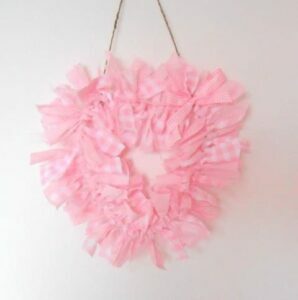 I love how simple rag wreaths are and they look so cute…I made one for Valentine’s day and just loved how it livened up my front door. 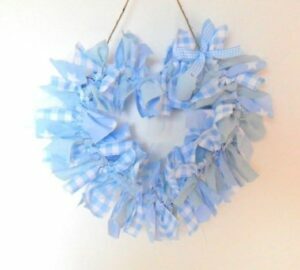 The colors Mary chose for the wreath used in the tutorial are so cute and I think I may have to do initials for my boys’ bedroom or something of the sort. That’s lovely! 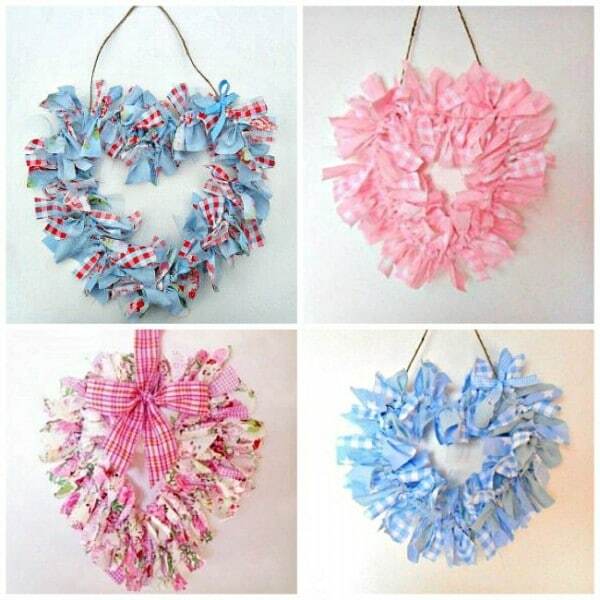 What a great way of making use of those scrap fabrics and turning them into a beautiful decor. Saw you at Tip Junkie’s Homemade projects. Oh you should give it a try! You never know! That turned out really nice. Well done. Just loves these! Soooo pretty!! Very pretty. I made a tulle heart wreath last week. 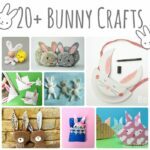 I am hosting a Valentine Craft and cooking contest starting the 16th. There are some great prizes, hope you will enter. Oooh lovely, will come and stop by Mindie! Ooh thank you so much and will do! I made one of these yesterday and posted about it here. Thanks for the inspiration! Oooh how lovely! So glad you made one. Brilliant!